There is no “one product ” “fits all” solution for road construction — As circumstances, Soils, and Equipment availability all differ from site to site / project to project. This is why Soil Solutions provides complimentary technologies that can be used on their own or in conjunction with each other. This offering is Intelligent Road Solutions ™ a combined holistic approach that provides advanced technologies that provide the most effective and specifically tailored solutions for any specific road construction or road improvement project. Soil Solutions® introduces Intelligent Road Solutions ™, a completely new approach to road construction and road improvements that provides innovative and engineered solutions through the combining of technologies which deliver long lasting, better performing roads, that require significantly less maintenance while simultaneously delivering cost effective solutions and reduced environmental impact. Engineered Base Stabilizer – EBS is a multi-dimensional nano polymer that binds soil particles. EBS is added to existing sub standard in-situ soils for increased CBR and increases PI to allow for bonding. EBS results in immediate reduction in costs as it reduces the amount of imported aggregate required. EBS can be accurately added using the Recycler attachment machines. EBS is also applied as a Surface Seal on Gravel Roads and Airstrips to provide a hard all-weather surface. EBS checks all of the boxes with cost reduction and reduced environmental impact. The Road Recycler Attachments are attached to a tractor and offer a solution for road construction, upgrades and asphalt recycling in rural or remote locations as these machines are logistically easier and more cost effective to use. There are four different models to meet the requirements of any budget or project. The ability of these Recycler Machines are numerous and include: milling bedrock into useable layer works material without the requirement for a crushing and screening operation; construction to a measured depth up to 400mm; and applying EBS Soil Stabilizer at the precise depth and amount. 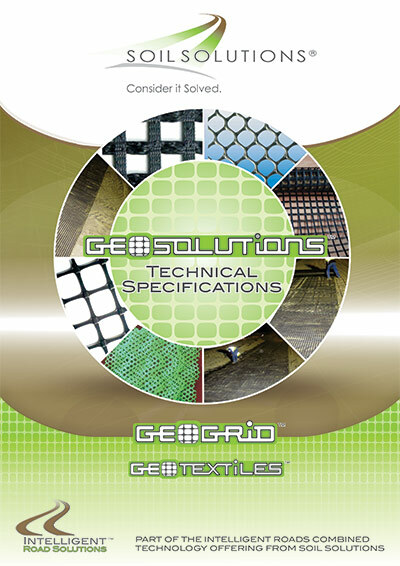 Geogrid Technology – provides a highly advanced biaxial grid that strengthens the existing layer works especially in sandy soils. These grids are manufactured to the size, and strength specification required and are used to provide additional strength to layer works in substandard soils to allow for the construction of roads, parking areas, and foundations. These grids hold the aggregate tightly in place and allow for the placement of additional layers in order to achieve the specification required. Starting with the initial Civil Works — DYNAMIC COMPACTION – is used to reduce the cost and time required for the cut to fill part of the layer works construction. With Dynamic Compaction the need to excavation, loading, removal and placement of material is eliminated. By incorporating the use of Dynamic Compaction machines into the construction of roads, rails and port facilities allows for a substantial decrease in the cost of the traditional cut to fill layers and can render a savings up to 60% or more of the cost of construction as well as the cost of crushing and screening of selected materials. Our experienced team and civil engineers at Soil Solutions® will assist with Value Engineered Design Improvements using a combination of technologies to deliver effective and efficient construction methodologies for economically viable Intelligent Roads Solution. CONTACT SOIL SOLUTIONS TODAY FOR OUR SPECIFICALLY TAILORED SOLUTIONS FOR YOUR ROAD, RUNWAY OR RAIL PROJECT.CONTACT US.